This 2019 Mercedes-Benz CLA CLA 250 is proudly offered by Mercedes-Benz Of Maui The Mercedes-Benz CLA CLA 250 will provide you with everything you have always wanted in a car -- Quality, Reliability, and Character. Just what you've been looking for. With quality in mind, this vehicle is the perfect addition to take home. The 2019 Mercedes-Benz exterior is finished in a breathtaking Polar White, while being complemented by such a gorgeous Black interior. This color combination is stunning and absolutely beautiful! Beautiful color combination with Polar White exterior over Black interior making this the one to own! This 2019 Mercedes-Benz CLA CLA 250 is offered to you for sale by Mercedes-Benz Of Honolulu. This Mercedes-Benz includes: SMARTPHONE INTEGRATION Smart Device Integration AMG LINE EXTERIOR Tires - Front Performance Aluminum Wheels Tires - Rear Performance NIGHT PACKAGE Tires - Front Performance Aluminum Wheels Tires - Rear Performance *Note - For third party subscriptions or services, please contact the dealer for more information. * You've found the one you've been looking for. Your dream car. You can finally stop searching... You've found the one you've been looking for. This is about the time when you're saying it is too good to be true, and let us be the one's to tell you, it is absolutely true. Contact Mercedes-Benz Of Honolulu today for information on dozens of vehicles like this 2019 Mercedes-Benz CLA CLA 250. This Mercedes-Benz includes: SMARTPHONE INTEGRATION Smart Device Integration PREMIUM PACKAGE Keyless Start HD Radio Hands-Free Liftgate Heated Front Seat(s) Satellite Radio Power Door Locks Keyless Entry Blind Spot Monitor Remote Trunk Release *Note - For third party subscriptions or services, please contact the dealer for more information. * This is about the time when you're saying it is too good to be true, and let us be the one's to tell you, it is absolutely true. The Mercedes-Benz CLA CLA 250 will provide you with everything you have always wanted in a car -- Quality, Reliability, and Character. There is no reason why you shouldn't buy this Mercedes-Benz CLA CLA 250. It is incomparable for the price and quality. You can find this 2019 Mercedes-Benz CLA CLA 250 and many others like it at Mercedes-Benz Of Honolulu. This Mercedes-Benz includes: SMARTPHONE INTEGRATION Smart Device Integration CONVENIENCE PACKAGE Auto-Dimming Rearview Mirror Universal Garage Door Opener PREMIUM PACKAGE Keyless Start HD Radio Hands-Free Liftgate Heated Front Seat(s) Satellite Radio Power Door Locks Keyless Entry Blind Spot Monitor Remote Trunk Release *Note - For third party subscriptions or services, please contact the dealer for more information. * You can finally stop searching... You've found the one you've been looking for. You could keep looking, but why? You've found the perfect vehicle right here. The Mercedes-Benz CLA CLA 250 will provide you with everything you have always wanted in a car -- Quality, Reliability, and Character. Contact Mercedes-Benz Of Honolulu today for information on dozens of vehicles like this 2019 Mercedes-Benz CLA CLA 250. This Mercedes-Benz includes: SMARTPHONE INTEGRATION Smart Device Integration CONVENIENCE PACKAGE Auto-Dimming Rearview Mirror Universal Garage Door Opener AMG LINE EXTERIOR Tires - Front Performance Aluminum Wheels Tires - Rear Performance NIGHT PACKAGE Tires - Front Performance Aluminum Wheels Tires - Rear Performance PREMIUM PACKAGE Keyless Start HD Radio Hands-Free Liftgate Heated Front Seat(s) Satellite Radio Power Door Locks Keyless Entry Blind Spot Monitor Remote Trunk Release *Note - For third party subscriptions or services, please contact the dealer for more information. * You could keep looking, but why? You've found the perfect vehicle right here. This is about the time when you're saying it is too good to be true, and let us be the one's to tell you, it is absolutely true. This vehicle won't last long, take it home today. Tax, Title, Registration, $925 transportation charge and dealer preparation fees not included in vehicle prices shown and must be paid by the purchaser. While great effort is made to ensure the accuracy of the information on this site errors do occur so please verify information with a customer service rep. This is easily done by calling us at (808) 592-5600 or by visiting us at the dealership. We appreciate your interest in our inventory, and apologize we do not have model details displaying on the website at this time. Please fill the form out below and our team will quickly respond, or, please call us at (808) 592-5600 for more information. 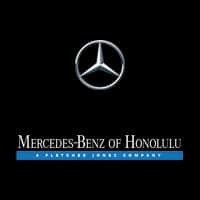 Find a New Mercedes-Benz CLA for Sale Near Mililani & Kailua! There are plenty of ways to personalize your Mercedes-Benz CLA. Black exterior paint colors, such as Night Black and Cosmos Black, are available for a sleeker look, as well as an AMG® Line Exterior Package with AMG® body styling and a chrome diamond-block grille. You’ll also get a 1-year trial subscription of Mercedes me Concierge and in-car WiFi. Read some of the consumer reviews on Cars.com, then schedule your test drive with the CLA near Kapolei and Kaneohe!